In today’s post, we bring you dozens of practical suggestions—both high-tech and low-tech—for supporting students with a wide range of disabilities and needs during 10 common classroom activities. Excerpted from The Speech-Language Pathologist’s Handbook for Inclusive School Practices by Julie Causton and Chelsea P. Tracy-Bronson, these ideas will help you promote access to the general education curriculum for all learners. 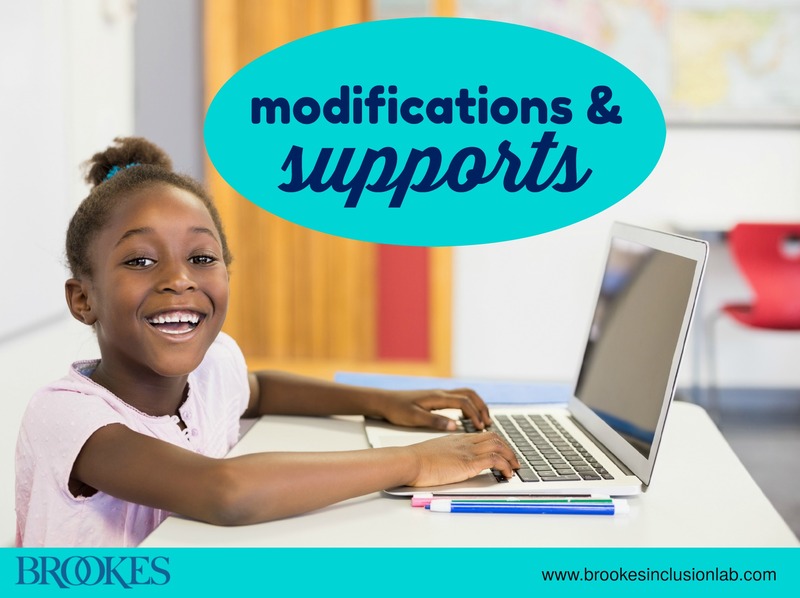 What modifications and accommodations have you found effective in your own classroom? Are there favorite strategies of yours that aren’t on this list? Add them in the comments section below—we love to hear what works for other teachers!